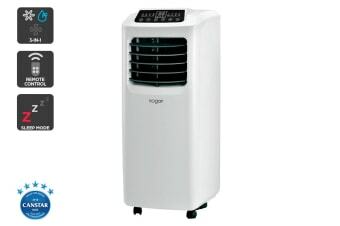 This compact, Portable Air Conditioner works perfectly to keep smaller rooms cool and comfortable all through summer. The Kogan 10,000 BTU Portable Air Conditioner (2.9kW) is a great way to keep yourself cool even through the worst of summers. Set up this 9kW unit any bedroom or smaller room and enjoy refreshingly cool air whenever you wish. 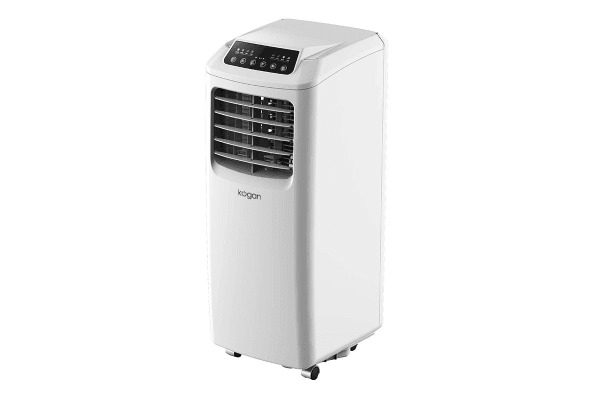 Alternatively, the compact size and easy portability of this Air Conditioner also let you move it around from room to room with absolute ease so that you can stay cool and comfortable all day long. It features a smart function that lets you set it to the exact temperature that you prefer and automatically cools to your exact liking. Use the nifty 24-hour timer to set a start and stop time and the cooling function will automatically start and stop at your predecided times. What this means is that you won’t have to worry about switching the Air Conditioner on and off again and again. Sleep like a baby with the intelligent sleep mode taking care to automatically increase the temperature by one-degree Celsius every hour for two hours followed by the fan on low so that the dip in temperature, as the night progresses, does not disturb your sleep. 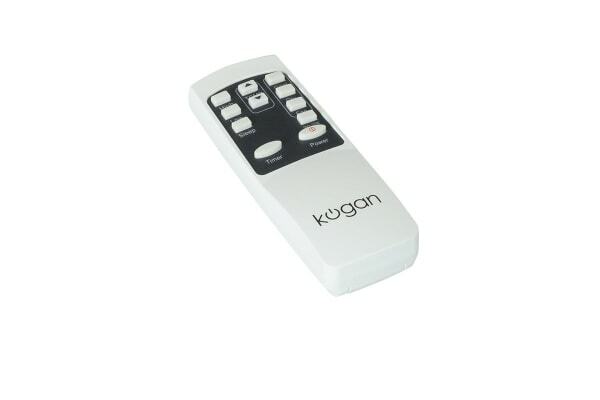 This unit gives you freedom from the hassle of having to continually drain water. Thanks to its continuous drainage, the water can be automatically drained outside through a door or window by simply attaching a water drainage hose (not included) to the back of the unit. It is a little too big for my purpose but appears to meet all other requirements.